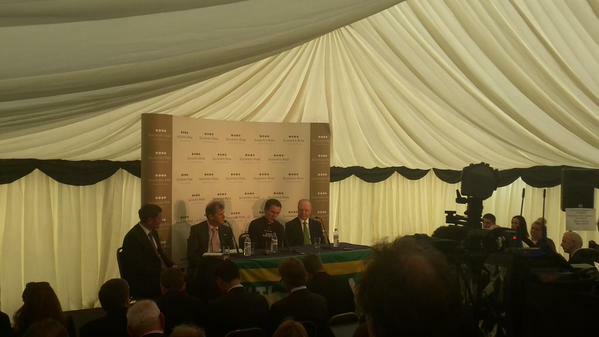 An extremely late request from The Jockey Club to supply a media marquee for AP McCoy’s final day of racing at Sandown. There was a relatively small area Summer Lawn to build the marquee and the client required staging, associated lighting, space and access for Channel 4 film crews and power supply and sockets for 60 priority ‘1’ accredited media contacts. A 9m x 9m (30x30ft) marquee with the flexibility of wall linings, that could be removed to react to weather conditions on the day. Thankfully the weather was kind and all went off without a hitch. Although unfortunately AP didn’t manage to ride a winner.